Business cards are great for exchanging contact information, but often lack something. 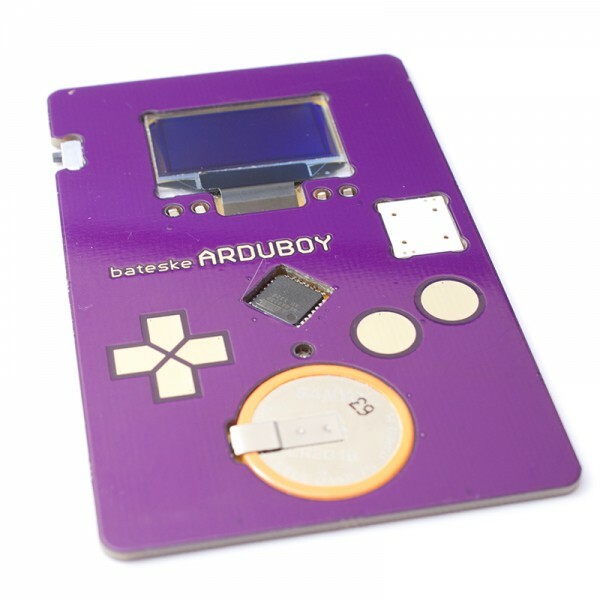 The Arduboy is trying to change all that, by allowing people to play Tetris. Built by programmer Kevin Bates, it is based on a bare bones Arduino board connected to an OLED display. It also has touch sensitive buttons for controls, speakers for audio, and a nine hour battery life. Bates has plans to get the project on Kickstarter, as well as build a community for people to share their modifications to the design. Ultimately, he intends to sell the card for about US$30 per kit; but is currently offering hand assembled versions for US$50. Those who want something other than Tetris on the Arduboy can wait until Bates completes the version with Pokemon installed.